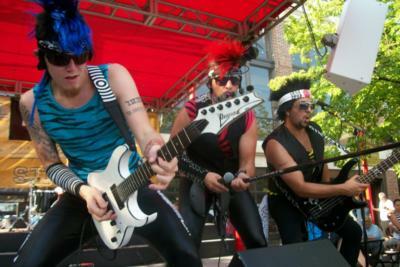 '80s tribute band, whose every song is a hit that brings the house down with spontaneous,exuberant 'I know this song!' singalongs. 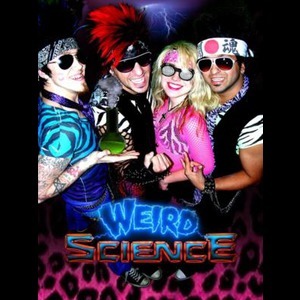 Moonwalk down memory lane with Weird Science" as they spin you right round to all the radical sounds, styles, and way cool dance steps from the 1980's In over-the-top retro 80's attire. 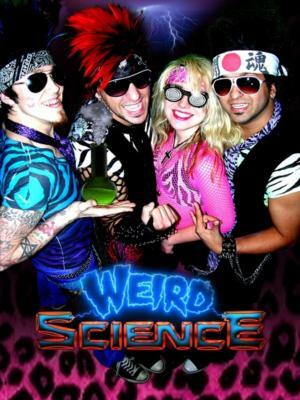 Please note Weird Sience will also travel to Cicero, Berwyn, Oak Park, Forest Park, Hines, Lyons, Riverside, Brookfield, Maywood, River Forest, Summit Argo, Carol Stream, La Grange Park, Bellwood, Bedford Park, Melrose Park, Westchester, Burbank, Bridgeview, Hillside, Hinsdale, Hometown, La Grange, River Grove, Stone Park, Western Springs, Berkeley, Franklin Park, Justice, Norridge.